Every Christian knows that we are called to love God with all our heart, mind, soul, and strength. But what about our wallet? We are asked to open it every Sunday when the offering basket comes by and are told that giving is a way of being a "good steward," but what about spending money at a restaurant or grocery store? 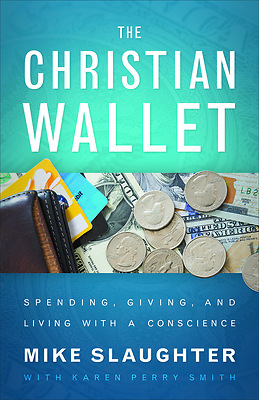 Best-selling author Mike Slaughter offers a comprehensive look at how Christians use their money in "The Christian Wallet." Slaughter explores today's culture of consumerism and the impact of what we buy, asking difficult questions about morality and money while acknowledging that there are no easy answers. Throughout the book, profiles of real people inspire thoughtful reflection about the true value of money and the rewards of conscious spending. Questions for individual or group study are also included with each chapter. "The Christian Wallet" helps Christians grapple with important questions about using money: how we spend, how we live, how we save, how we give, and what it all means."